Every night before bed Miss Marnie gets to choose her 3 books before bed – and more often than not they are all by Julia Donaldson. No surprise when the children’s author and poet has published over 60 books – and we’ve a large collection already. Many I search out in charity shops – I have found some great ones in almost-perfect condition. And, plus I don’t really mind as the rhyming words are easy to read even after a long commute home from work or a busy day together at home. Plus, I think Miss Marnie finds comfort in the bold pictures and easy to identify characters. 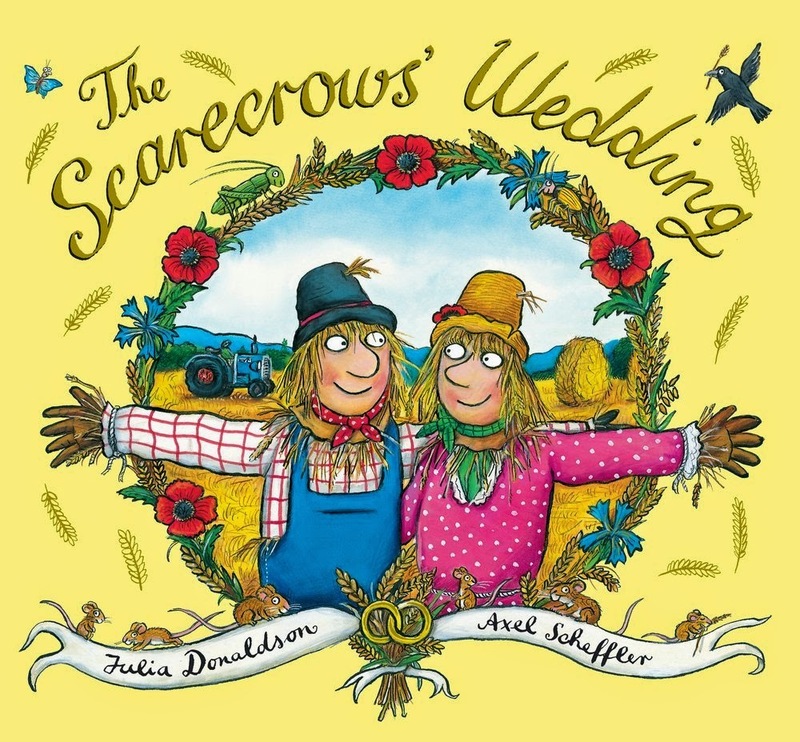 We went to the library recently and gathered up some new material and I was a tad excited to find Julia Donaldson’s and Axel Scheffler most recent title The Scarecrows’ Wedding on the shelves. I grabbed it quick… for Miss Marnie of course! Our recent local library choices! Julia Donaldson and Axel Scheffer most recent book release – already a firm fave! 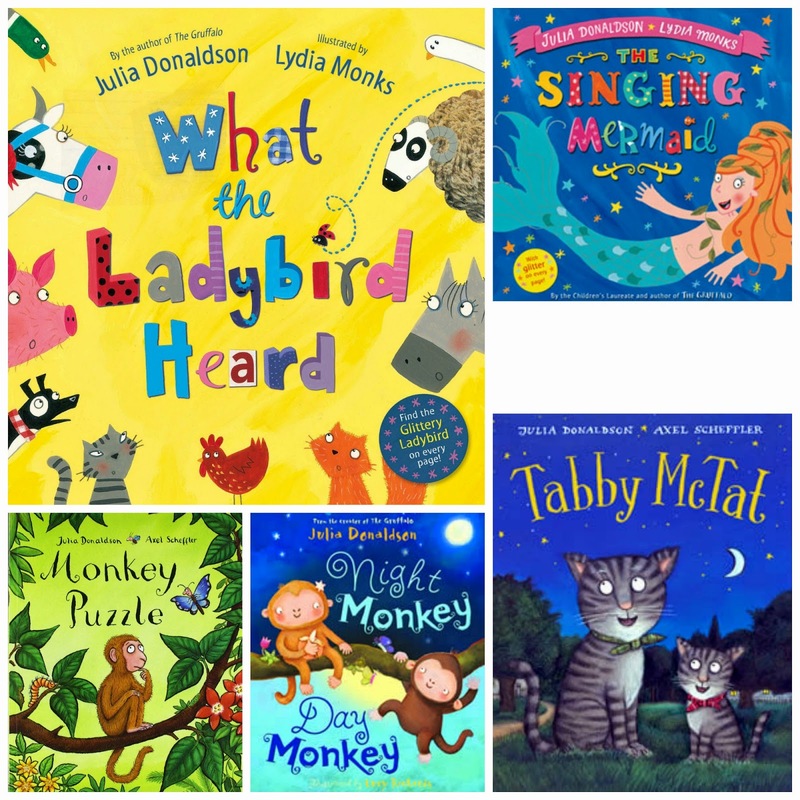 So, I thought I would share with you Miss Marnie’s 10 most requested Julia Donaldson books – how many have you read? The Snail and The Whale – Sometimes my heart sinks a little when she chooses this one as it feels so long (and I HATE snails!) – but then I read it and remember why its so great! 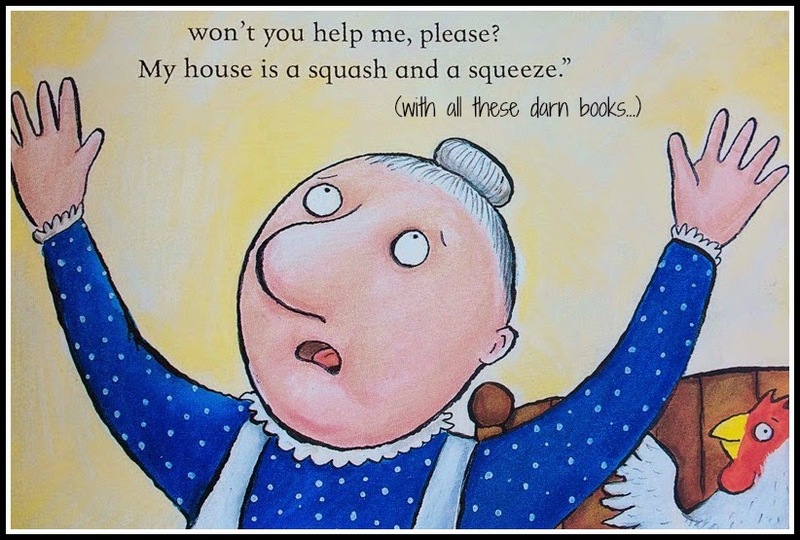 We LOVE Julia Donaldson in our house. 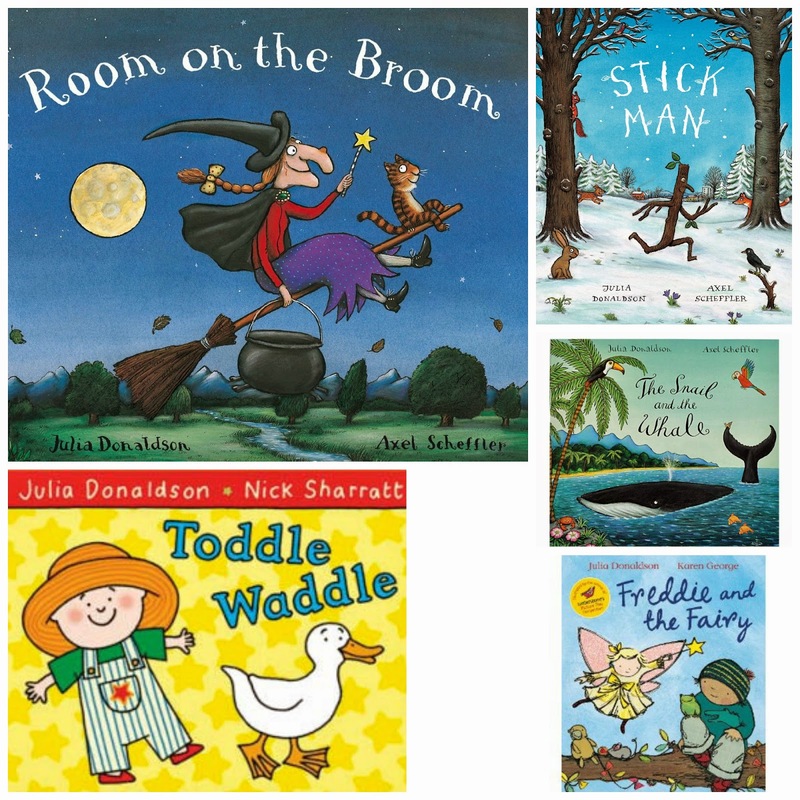 The big favourites are Tabby McTat, Room on the Broom and my personal Christmas favourite Stickman. We've also read The Gruffalo and The Gruffalo's Child about a million times – classics!